I finally got out for a walk this afternoon at my favorite park. The trees were neon green and there were bursts of orange, purple, and yellow wildflowers. I had a sense of beginning. I'm feeling better after a couple of weeks of being ill, my home is peaceful, and everything is lush and blooming. I'm so happy! While I was sick and stuck inside, I re-read the Twilight series and watched New Moon on DVD. That probably explains why I was scouting meadows for Edward and Bella. This one would be perfect. Had to take this picture quickly because the tree was humming with bees. I usually don't try to take pictures of birds because I don't have the right camera for it, but this little finch was nice enough to pose for me while I was trying to get a shot of the pink blossoms. Is it me, or does it kind of look like an oil painting? Hi everyone! Sorry I haven't been around much, but I've been laid up with the flu and haven't had any energy. I can't believe I've had a cold/flu twice this year and it's only March! Next year I think I might get a flu shot. Have you ever read Mason-Dixon Knitting? I'd seen it in stores but never bothered to look at it until someone in my sock class recommended it. Fortunately, my local library had a copy. (I own waaayyy too many knitting books already.) Isn't that dish cloth different? I want to give the pattern a try. Isn't it fun when you find yarn in your stash you forgot about? I won this Fiberphile sock yarn last year in a giveaway and just came across it recently-- I'd totally forgot about it, probably because I didn't know how to knit socks when I won it. Now I can't wait to play with it. For my March artist trading card swap group, Cory sent everyone in the group embellishments to use on our cards. Here are some of the cards I created. The background is scrapbook paper from a Somerset magazine. I added white Gesso to give it texture and colored in some of the images with felt tip pens. It was fun selecting a word or two to add to each card. Cory included pieces of red and silver foil in the packet of embellishments, so I punched heart and flower shapes out of it and glued them to the cards along with the rick rack, buttons, and postage stamps she sent. I had a good time making these cards. This card is for a "Spring" themed ATC swap. Our challenge for April from Rachel is to make cards without using any paper. I've been playing around with different materials, but haven't come up with anything I like yet. I'm pretty excited about it though, because it makes you look at and think differently about your ATC's. I hope you are enjoying some lovely Spring weather. It is in the high 60's here and trees are blossoming everywhere. Update: Gerry at GerryArt is having her first giveaway! You can win a wonderful sock pattern book and two skeins of sock yarn. Stop by and check it out! I wonder if Charlie knows an angel watches over him while he sleeps. I wonder if my yarn knows an angel watches over it while it sleeps. Sometimes that particular angel falls asleep on the job. Nevertheless, there's lots of watching over going on around here. Things are pretty quiet around here. My noisy neighbor is gone, and I'm in heaven. 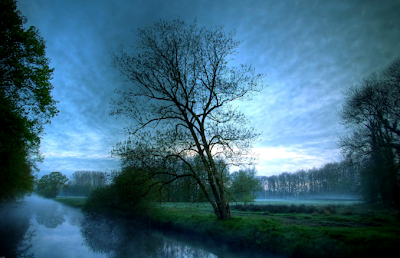 I love silence. 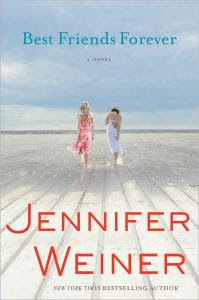 I recently listened to the audio of Best Friends Forever by Jennifer Weiner and enjoyed it. The story was a bit silly at times, but I like the way she writes and have been a fan for many years. 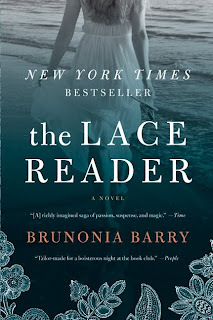 Currently I'm reading The Lace Reader, which is set in Salem, Massachusetts and is the story of a family of women who can see the future in lace patterns. I wonder what this lace says about my future? Hopefully something about quiet, considerate neighbors. My sister Hilary and I went to see Remember Me with Rob Pattinson last weekend. It was disappointing. I didn't read any of the reviews before I saw it, which was a mistake. If I'd known a little bit more about the movie, I never would have watched it. Yesterday I watched my all-time favorite movie from my childhood, Grease. It came out when I was around eleven, and I watched it countless times in the theater. Someone gave me the album for my birthday and I played it over and over on my little record player. One night, while sleeping over at a friend's house, we called the local radio station to request "Summer Nights" so many time they finally asked us not to call again. (Wow, those were the days. Do radio stations even take requests anymore?) 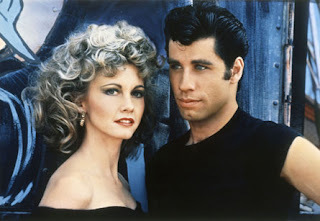 I had a big crush on John Travolta back then. Have you been reading anything interesting, or have you seen any good movies? I'd love to know. Don't you love it when goodies arrive in the mail? This color is called "Fairytale." This one is "Guilded Lilys." I had buyer's remorse earlier today when I went to the website and looked at this color again, but now that I've seen it in real life I'm very happy with it. Yesterday I started working on my March artist trading cards for my swap group. Instead of selecting a theme, Cory sent each person in the group a packet of embellishments to use on our cards as we want. Fun, fun. I can't show you mine yet because they aren't finished, but I'll post them in a few weeks after everyone has received them. My poor baby Charlie. He was very sick the other night and I didn't know what to do. He let out the saddest little meow every time I tried to touch him. Charlie seems better now, but I'm still keeping a close eye on him. This is my Ishbel shawl I recently started working on. I'm knitting it with 100% wool, something I rarely use. Bamboo, cotton, and silk blends are so much more comfortable next to my skin. But I like the colors and the way it is striping, so I'm going to try to stick with the wool. When I left my office this evening, the wind was blowing so hard I thought I was going to be swept away. I wanted to take a picture of the swaying trees, but it was so cold I had to run to my car. It hailed on the drive home, which was pretty exciting because we rarely get interesting weather around here. When I got home I opened the bedroom window so I could listen to the sound of the rain as I worked on my Ishbel. I love to knit by the window to whatever sounds are going on outside ... birdsong, rain, the rustle of leaves, children playing. I've been feeling like I'm way overdue for some pampering, so Friday evening I took myself out for dinner and then went to the nail salon for a pedicure. Oooh, it was heavenly. 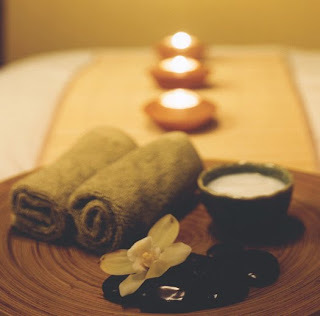 This afternoon I went to a day spa for a massage. Things didn't start out well. When I arrived they led me to a quiet sitting area and said someone would be right with me. I waited and waited. When I started getting irritated, I tried to distract myself with an In Style magazine. When I'd read the whole thing and still no one had said a word to me, I marched out to the reception desk and asked what time it was. It was a half hour past my appointment time! The receptionist was confused as to who I was and why I was upset, and then tried to tell me my appointment was for a different time and a different kind of massage. Grrrrr. Not a good way to relax. Fortunately the massage therapist had magical hands and my anger soon dissipated. By the time the hour was up I was completely blissed out. I started a new knitting project this weekend, the Ishbel shawl. I'm using handpainted sock yarn, and while I'm still not sure the colors are the right choice, so far it's a fun knit. I'd post a picture, but first I'd have to take one and that would involve disturbing the cat draped across my lap. I can't bring myself to do it. 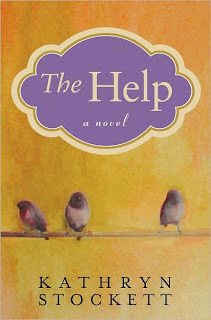 Several months ago Thimbleanna wrote about the book The Help on her blog, and I'm finally listening to the audio. I'm halfway through and it is SO good. I think it's destined to become one of my favorite books. 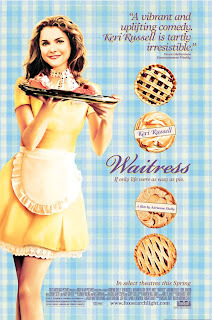 Have you seen the movie Waitress with Keri Russell? It's sweet. I watched it for the second time last night and enjoyed it just as much as I did the first time. Do movies make you cry? I often end up sobbing when I watch movies, especially during the happy ones. 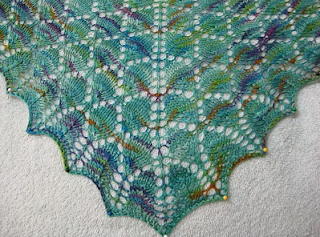 I finished my Forest Canopy Shawl last night and it's blocking on my futon right now. Hurray! It's smaller than I thought it would be and I had a little trouble with the bind-off, but other than that things went smoothly. I figured it would take me at least two or three months to complete this project, so it was exciting to finish it in four weeks. A big thank you to Kate at Lazy Kate Creates for initiating the Adventures in Lace knit-along. It motivated me to learn to knit lace and I'm completely smitten. I feel like my blog has been pretty low energy lately and I know I haven't been posting as much as I used to. I've been debating whether to talk about why that is and decided to just be honest about it. It's tempting to only write about happy sunshiney things, but doesn't feel very real. Since mid-January I've been consumed with problems with a disruptive neighbor and it's been hellish. Things came to a head last weekend when the police got involved, and the problem neighbor will be moving out next week. I'm looking forward to getting my life back and feeling happy again instead of beaten and broken down. The stress of the situation had begun to permeate every area of my life. I learned some painful lessons, especially about not allowing myself to be bullied. On that cheerful note, I'm going to turn off the computer and turn my attention to American Idol. Don't forget to leave a comment to enter my giveaway-- I'll pick a winner Thursday morning.